Welcome to the all new KB Imaging Solutions LLC (KBIS) website. 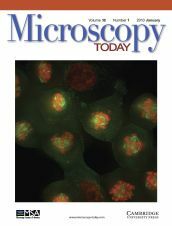 ● Read the article A Practical Guide to Deconvolution of Fluorescence Microscopy Imagery in Microscopy Today (Vol.18, No. 1, Jan 2010). KB Imaging Solutions LLC is a privately held company located near Sacramento, CA. KB Imaging Solutions LLC develops signal and image processing solutions for medical, industrial and consumer applications.